The plot of Den of Thieves explains the number of bank robberies that happen in Los Angeles every year, every month, days, hours and even minutes. The movie was directed and co-written by Christian Gudegast who previously worked as a Screenwriter in London Has Fallen. In the movie, Pablo Schreiber (Merrimen) who is a career thief leads his fellow group members to steal a car. Unfortunately something goes wrong and gets ended up with a shoot out from the cops. This grabbed the attention of the Sheriff Department in Los Angeles led by Gerard Butler (“Big Nick” Flanagan). Gerard Butler’s men catch Merrimen’s driver O’Shea Jackson Jr (Donnie) and learn about Merrimen’s future theft plans. But Big Nick does not know that the actual plan of the robbers was to break into the Federal Reserve. The thieves have made a clear plan of how to break into the unbreakable Federal Reserve and escape with the money that is robbed. The climax reveals if the robbers escaped with the money that is robbed or if Nick has foiled their plans and put them behind the bars. Overall the movie is very long – two hours and twenty minutes to be precise. The directorial debut from Christian Gudegast showcases Gerard Butler as a good guy who harasses people and questions accused in a hotel with strippers. Schreiber’s Merrimen on the other hand who is the bad guy treats his men with respect and love. Den of Thieves delivers an above-average cops-and-robbers heist film. 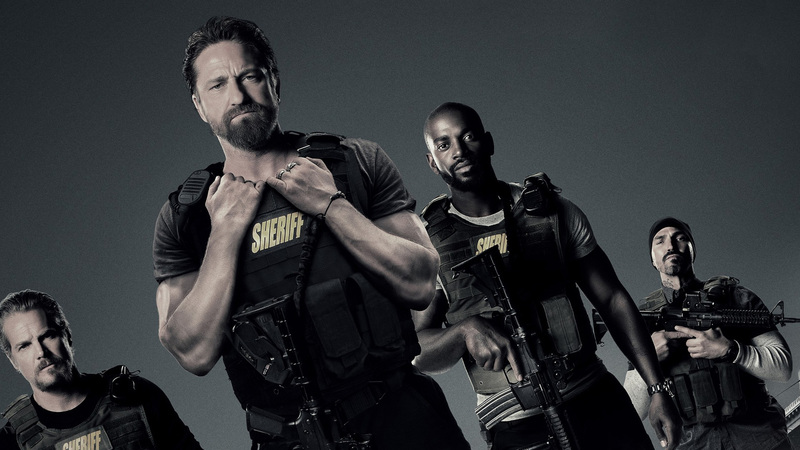 Cast: Gerard Butler, Pablo Schreiber, O’Shea Jackson Jr.